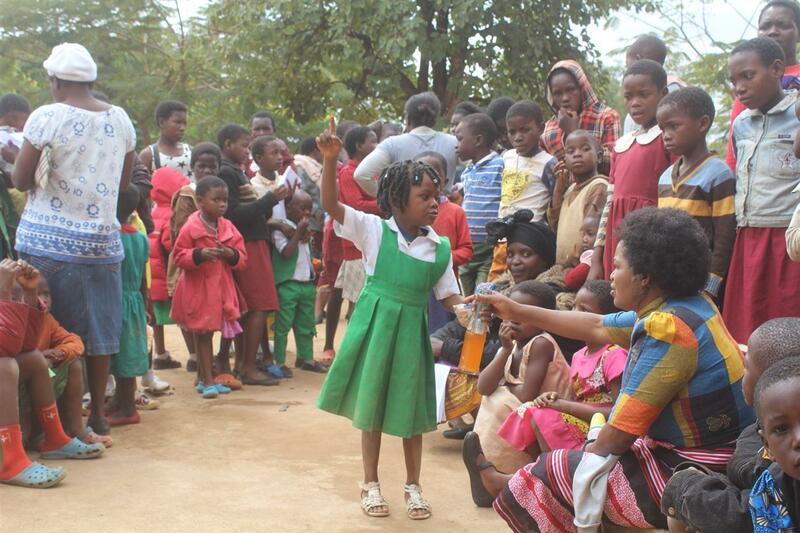 A total of 44 children have graduated from Chinamwali Early Childhood Development (ECD) Centre which YONECO established under its child development programme in Zomba City. YONECO established the ECD Centre in order help children aged between 3 to 5 years of age to cultivate interest in school as this is a transit stage into primary school. As such, the centre ensures that children have acquired the necessary pre-reading and writing skills. Jacob Nyirongo, YONECO’s Community Mobilization Coordinator, said that the significance of Early Childhood Development – ECD in Malawi cannot be over emphasized. “YONECO realizes that child development is very key in the development of every society and this is why we thought of opening this centre so that we can prepare children for primary school’’. Said Nyirongo. Also speaking at the event was the Centre manager, Happiness Chanunkha who described the graduation of the 44 as a landmark achievement. Chanunkha stated that this will help to ensure that the children are not struggling with their studies at primary school. Further to this, Chanunkha also expressed his optimism that the 44 are now used to school environment a thing that will help to reduce absenteeism and dropout rates. Earlier this year; Director of ECD services in Malawi, Archie Malisita, told said that the number of children attending ECD services in Malawi slipped by 50% countrywide due to lack of resources. It is against this background that YONECO has also resolved to establish more ECD centres across the country. Currently, the institution has other centres in Ntcheu, Nkhata Bay, and Balaka districts.